This summer, Mark Wahlberg returns to the big screen in explosive fashion with Mile 22. The action flick is directed by Peter Berg, with Wahlberg playing an elite American intelligence officer who attempts to smuggle a cop with sensitive information out of the country. It also features a strong supporting cast, with John Malkovich, Lauren Cohan and Ronda Rousey. 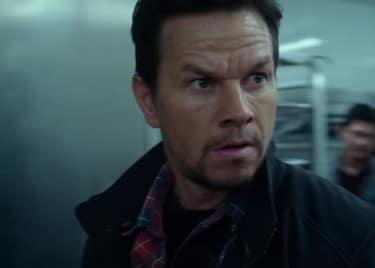 Mile 22 isn’t the first time that Wahlberg and Berg have worked together, nor even the second. The pair have built a good working relationship over the past decade, previously collaborating on three other films. Berg and Wahlberg first teamed up on Lone Survivor, released in 2013, which told the true story of United States Navy SEAL Marcus Luttrell, with a focus on his time during the war in Afghanistan. Berg directed the film; Wahlberg starred as Luttrell. It went on to enjoy a successful limited release and received acclaim from critics. Wahlberg spoke about Lone Survivor in an interview with Vulture, recalling how he and Berg crossed paths, and forged a bond. It’s clear that the two hit it off on that first movie together. Lone Survivor was just the beginning of what would become a beautiful friendship. The pair reunited for two more films in 2016. Like their first collaboration, these subsequent outings were also based on true events. Deepwater Horizon was based on the 2010 Deepwater Horizon drilling rig explosion, while Patriots Day was based on the events and aftermath of the 2013 Boston Marathon bombing. Both films received positive reviews from critics for their authentic dramatization of the real-life events. Berg wrote an article for Vanity Fair prior to the release of Patriots Day. He spoke about his relationship with Wahlberg, commenting on their shared love of nonfiction, and how it fueled their collaborations. With three successful nonfiction collaborations under their belt, this dream team has now ventured into uncharted territory for their fourth film. Unlike their previous collaborations, Mile 22 isn’t based on any true story. Ironically, the film following those comments from Berg will be their first fictional story. Given their past successes, however it’s highly likely that this pair will deliver another memorable movie. Moreover, the film sounds enticing from its description alone. 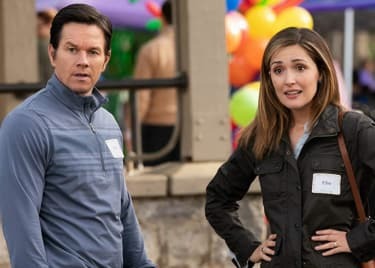 While Mile 22 may be the first fictional film produced by Mark Wahlberg and Peter Berg, their history together proves that this duo can accomplish great things. And it seems like this partnership will continue to flourish, as the pair are reportedly planning on reuniting for a fifth film in the future. Mile 22 hits theaters on August 3, 2018.